Rummy is an exciting card game that can be enjoyed both offline and online. 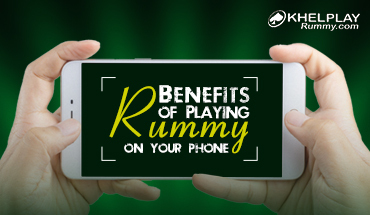 Over the past few years, people have majorly shifted from offline and have started playing rummy online. Today, there are tons of websites and mobile apps that offer free rummy gaming with real cash prizes. So, it’s important to play well and win more. One fantastic strategy to win the game is by knowing precisely when and how to use the Joker card. This card can be a game changer – it can make you win or lose. To ensure that the card always makes you win, you need to know how to use it well in the game. To help you do just that, here’s a list of instances when the Joker cards should be used. From all the different cards in a deck, Joker is the trickiest card and should be used minimally. Try to play the game without using the Joker card. As soon as you start playing, aim to make a pure sequence and park it away. Then try to make your sets without the Joker. And if you are making two sets, try and close at least one set without a Joker. Joker in your spread may make you happy, but you still need a strong strategy to win the game. In case, 5 is the Joker card, you can discard cards close to it like 6 or 4. This will keep your opponents confused and you ahead in the game. Joker card is useful when you are forming an impure sequence. But pay attention to what card you are replacing it with. If are holding on to high-value cards like King and Queen and replacing low-value cards like 2 and 3, then your point load increases, so it is not an advisable thing to do. If you have a Joker, do not discard it till the very end. And if you have more than one Joker, then use them to form your sets and sequences. Don’t make your sets with the Jokers at the very beginning of the game. As a thumb rule, Joker cards should be kept as your last resort. When you discard a Joker, your opponents can’t pick it from the discard pile. It always has to be drawn from the closed deck. So, if you have made your sequences and still have multiple Jokers, keep discarding them and pick other more useful cards. 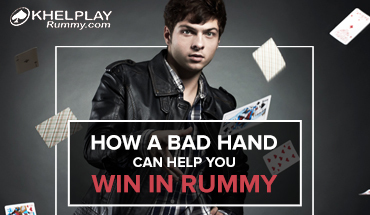 We hope the above tips come to your aid and help you win while playing rummy offline or online. These tips should be honed by practice. 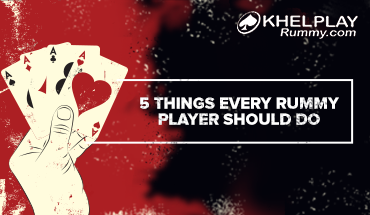 So keep participating in rummy games and try these tricks. See which ones work best for you and stick to them. Joker card is correctly defined here as a game changer. It can help you win but even be the cause of you losing the game, if used incorrectly. It’s important to read this blog and understand the correct use of the joker card. Even playing free rummy to practice the usage of Joker card is a smart idea. 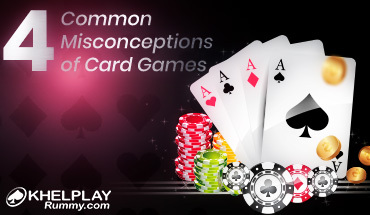 All rummy players ought to read this blog. It clearly and in very simple language explains the correct and incorrect use of the Joker card, the trickiest one of the deck. The blogpost is well written. I am sharing it with my buddies on my social network, including Twitter and Facebook.